Next Generation Jazz Musicians from US with Very Special Guest and Jazz Education Legend Jamey Aebersold live at Nighttown! 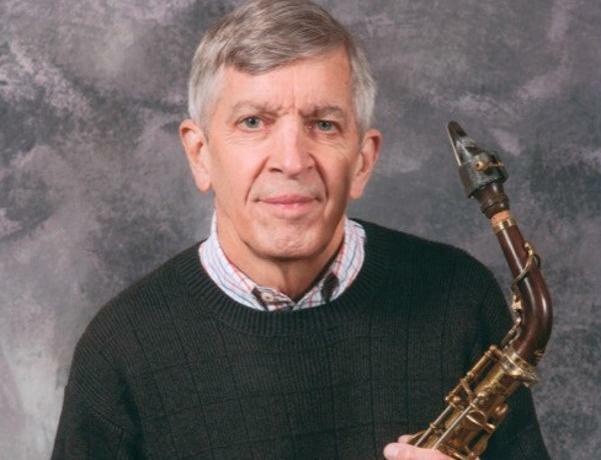 The University School Jazz Ensemble will feature as guest sax soloist, Jamey Aebersold, likely the world's most renowned jazz educator. For his efforts, in 2014 Aebersold was bestowed the honor of Jazz Master by the National Endowment for the Arts. He is most known for his over 130 jazz playalong recordings and his Summer Jazz Workshops. The Ensemble, in commemoration of the 60th anniversary of landmark jazz recordings issued in 1959, will by playing music by Miles Davis, Charles Mingus, and Ornette Coleman, along with music arranged and composed by senior lead tenor Ben Chao. The US Jazz Ensemble is directed by faculty member David Kay, an active area saxophonist (Jazz Heritage Orchestra, the George Martins, Jim Wonnacott's Little Big Band) who has played with Aretha Franklin and nearly 50 other noted pop and jazz performers, and who has a Masters in Jazz Studies from Indiana University. Kay taught 31 years at the summer Interlochen Jazz Camp. Jamey is going to give an improvisation clinic at 4 PM May 13 (the gig day) at University School (2785 SOM Center Rd., Hunting Valley) There is no charge for it. The school is inviting all area students , as well as any adults of any level who want to participate. Bring your own instruments and amps, as needed.